Say hello to our new email design testing service for Russian Mail.ru email service. 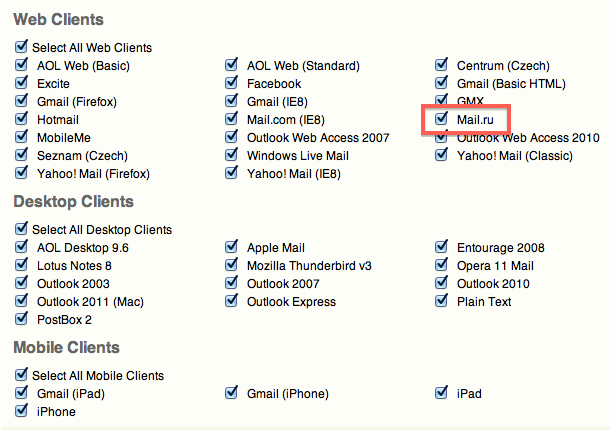 Mail.ru is the most popular web based email service in Russia. If you have subscribers in your mail lists from this email service, optimizing your email design considering Mail.ru standards will increase the ROI of your email campaigns. Posted by Max Ilin on July 27, 2011 in Email Design.